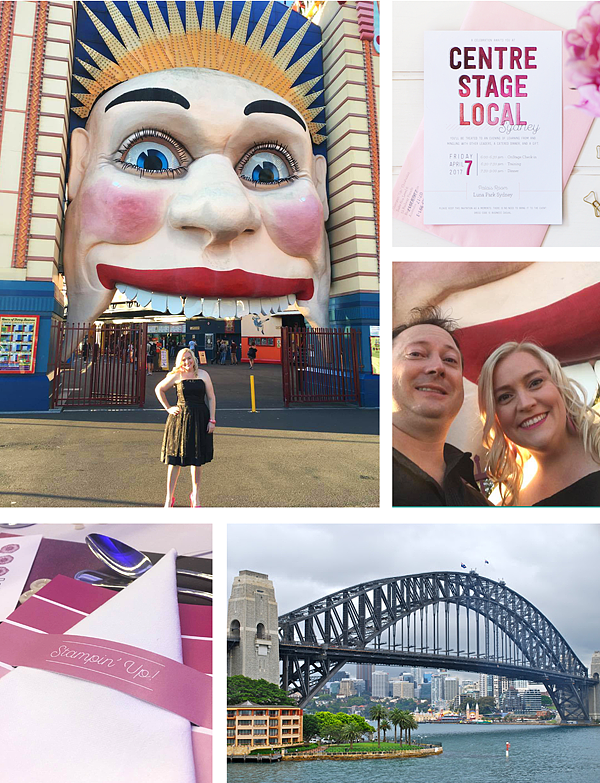 The past couple of weeks have been a bit crazy in the Sharp house as I prepared for the OnStage Local Event in Luna Park, Sydney. And when I say "I", I really mean "we"! 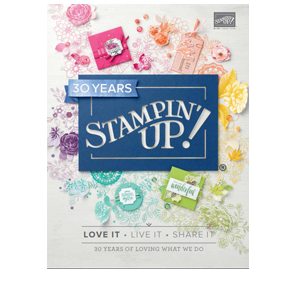 Because if you are even close to the front door of my house in the weeks leading up to any Stampin' Up! event you will more than likely be given a job to do! Friday night was the Centre Stage Local, held for Silver Elite and above Demonstrators. I was lucky enough this year to have my wonderful, supportive husband with me. The night was magnificent, as we overlooked the stunning Sydney Harbour Bridge and Opera House and enjoyed a beautiful meal. Photos with the beautiful Kylie Bertucci and Barbara Williams. Saturday - LET THE FUN BEGIN! 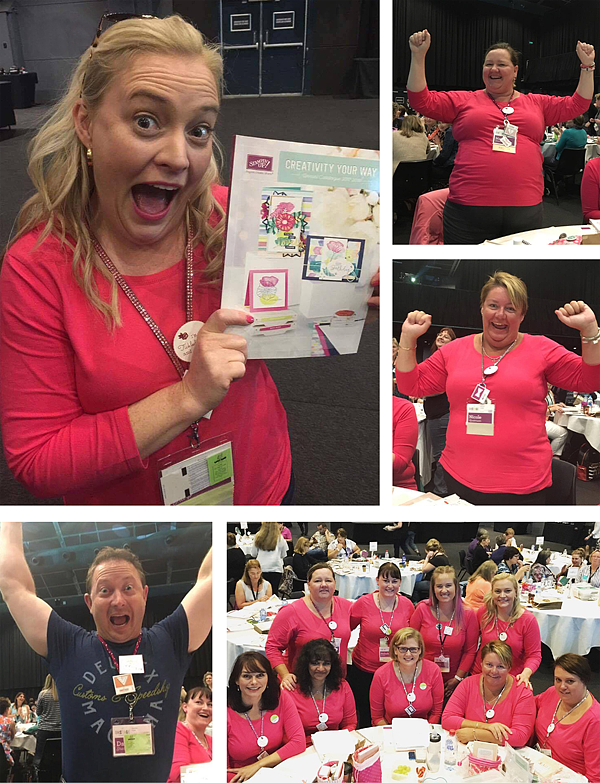 I met up with my fabulous team, the Tickled pINK Stampers. I didn't let Daniel get out of the day and even though he doesn't look impressed...he's actually looking through the catalogue in that photo - bless that man! 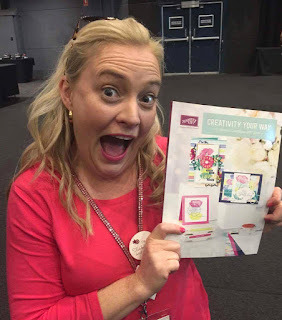 We all got excited over our new catalogues, prize patrol wins and left the day stamp sets, swaps, team gifts and full hearts. I really didn't want the day to end. Team Photo: Lissa Carter, Mehala Kan, Marlene Goulder, Melinda Brown, Donna Thoms, Kylie Mining, Nicole Anderson, Lisa Eaton. 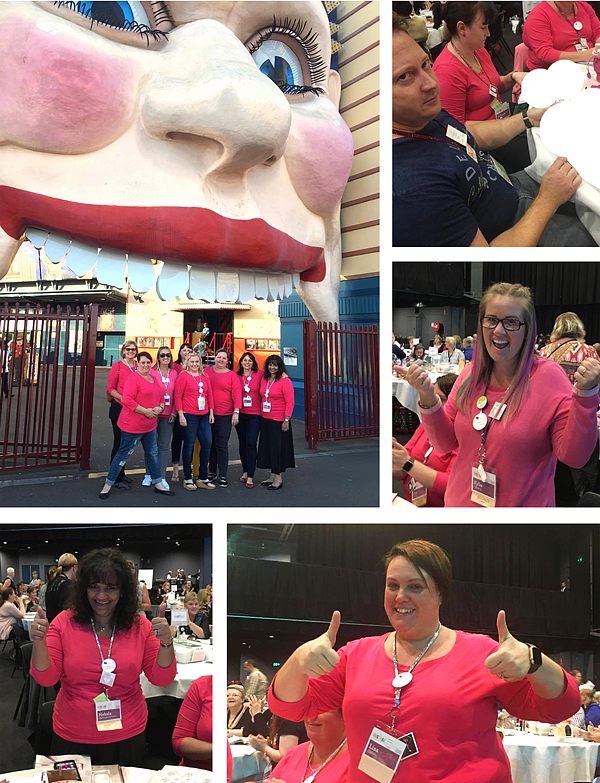 Team Gifts included a pink t-shirts, an inspiring book, a pink pencil, chocolates in a decorated box, bling lanyards, team badge all wrapped up in a pink bucket bag. 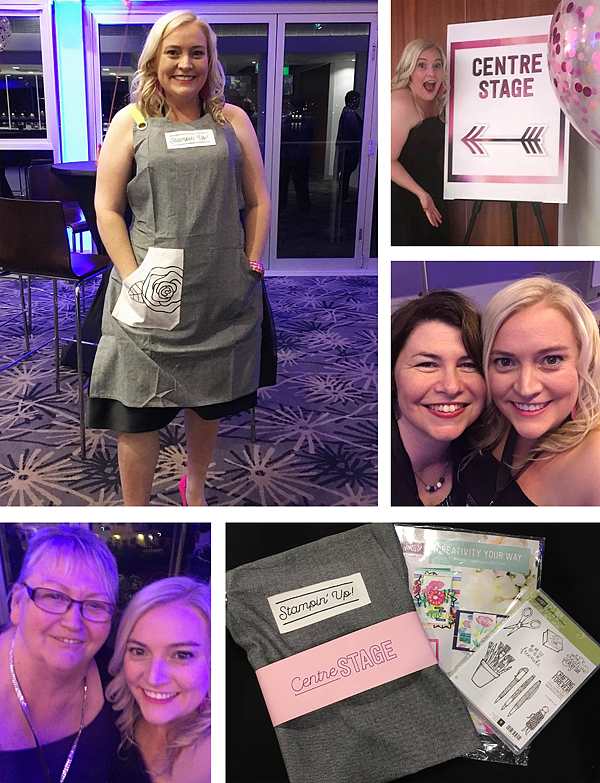 A HUGE THANK YOU TO MY MUM, who sewed the gorgeous bags for my team gifts, they are even more beautiful in real life and I know will be cherished by all who received them. 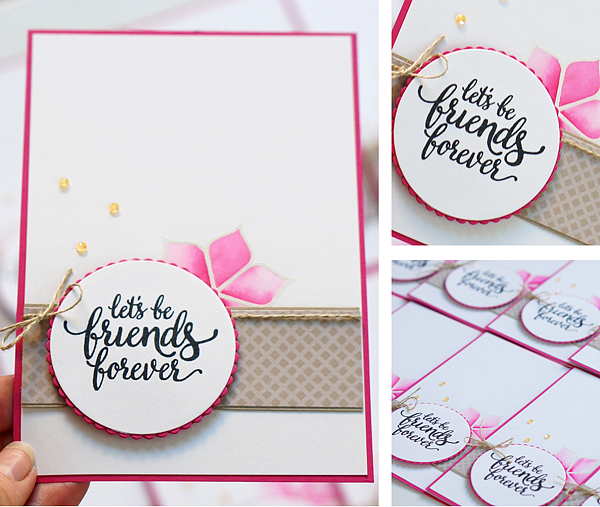 My swaps were made with the new Eastern Beauty stamp set and I love the sentiment in this set 'Let's be friends forever' - very fitting for swaps I thought! Well, that's it! If you pop over to my Facebook Page you can see the live video I did today showing some of the swaps and lovely gifts I received. Register: If you live in Australia you can register >HERE< for a copy of the catalogue. They will be sent mid-May 2017. 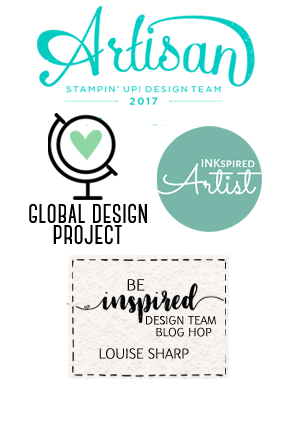 *Please do not register if you a Stampin' Up! Demonstrator. Join: Would you like to view the it now? 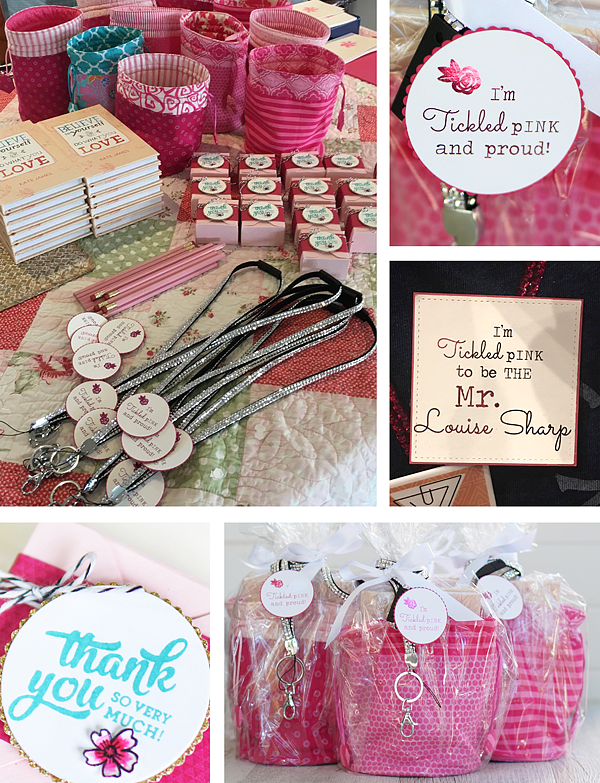 You can join my Tickled pINK Stampers Team and even have the opportunity to order early! Demonstrators can order from the catalogue on the 2nd May - how exciting is that! 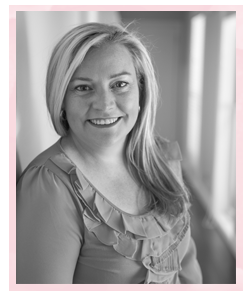 Click >HERE< to find out more about joining. Thanks for supporting me and all my adventures!